Can the lessons of the past help us to prevent another banking collapse in the future? 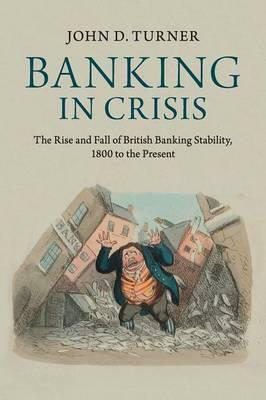 This is the first book to tell the story of the rise and fall of British banking stability over the past two centuries, shedding new light on why banking systems crash and on the factors underpinning banking stability. John Turner shows that there have only been two major banking crises in Britain during this time - the crises of 1825-6 and 2007-8. Although there were episodic bouts of instability in the interim, the banking system was crisis free. Why was the British banking system stable for such a long time? And, why did the British banking system implode in 2008? In answering these questions, the book explores the long-run evolution of bank regulation, the role of the Bank of England, bank rescues and the need to hold shareholders to account.